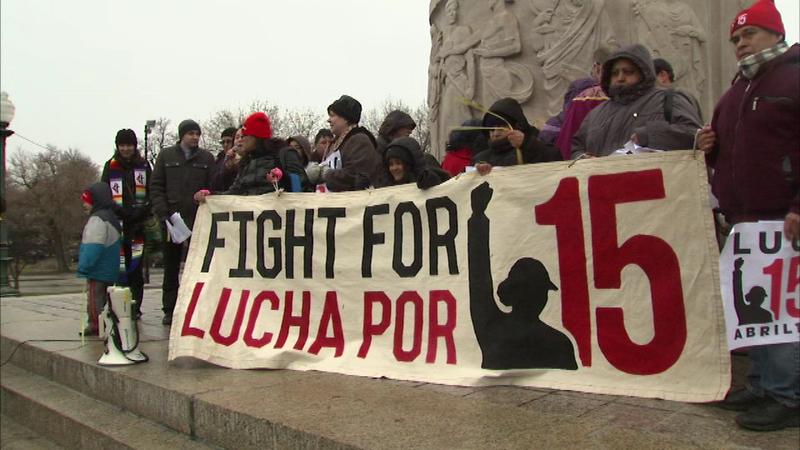 CHICAGO (WLS) -- Members from several churches in Logan Square rallied Sunday for better-paying jobs in a fight to raise the minimum wage to $15 an hour. "It's not fair," Nancy Salgado said. "At the end of the day I don't have enough money to feed my kids. And it's not only my situation but hundreds and hundreds of other passport workers. This is about all low wage workers." Dozens gathered to sing, chant and pray before marching to the Logan's Square McDonalds. The event was organized by the faith labor action group "Arise Chicago."